If you’re like me, you’ve spent considerable time trying to bring about changes in your life using the same old strategies. Maybe you’ve pushed forward using determination. You might have wondered why you didn’t get what you wanted while others were making it happen. Perhaps, you used feeling-bad about yourself as your motivation. You might have started believing you don’t have what it takes to complete what you start. make the delicious life you desire. experience in ways that are perfect for you. Some of you will want a little more of one ingredient; others will omit ingredients. Each will mix the 64 ingredients of change differently, and everyone can create the personal transformation desired. Let go of Old Thinking. 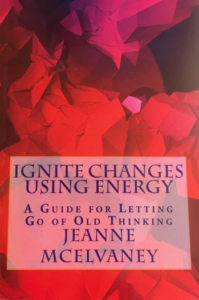 This guide gives you 64 ingredients for making changes using energy. Uncertainty is an ally of change. It opens doors to new possibilities. It invites new insights. Ambiguity is a friend in quantum change. 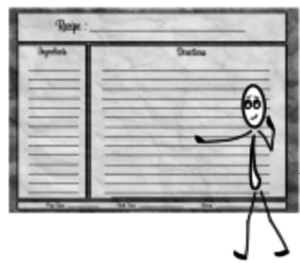 When it comes to creating new realities, it gives us the possibilities of a blank sheet of paper with a plethora of paints rather than a paint-by-number set. Doubt casts light into the the shadows of our life, illuminating new opportunities. In the chaos of our thoughts, we notice we’re unsettled and what’s getting too routine. Dreams from the past and new yearnings won’t be ignored. We get uncomfortable enough to look for more. The rumble of doubt can inspire us to release control and expand our life. It can show us that the way we have been managing relationships and circumstances is no longer working. It might point out a long-held belief that is no longer our personal truth. In the uncertainty of this feeling, freedom from outdated expectations often bubbles up. Doubt can point out what we fear. Change often feels like we have to betray commitments or give up what we’ve worked so hard to create. Quantum Thinking reminds us that we get to choose what we include in our shifts, that nothing important gets left behind. Getting a puppy launched a list of doubts for me. Was I ready for the change in my days, the commitment required, the unbelievably deep connection I knew I would feel? In the middle of writing a challenging novel, I was filled with uncertainties. Gathering information soothed my doubts. As I let go of old expectations, my husband and I discovered a different path for sharing days with a puppy. New information helped me release Old Thinking and my doubts. Uncertainty is your heads-up to go to your inner wisdom for guidance. This is where you’ll get clear, vibrant insights connected to the energy field. Turn away from well-intentioned advice, quiet your inner chatter, and ask yourself what you need to know… right now. A positive, empowering, and maybe improbable message will pop up. Trust it. It’s for you. Keep asking until you hear your inner guide. Doubt is the niggling energy that can empower change by making us aware of our inner wisdom.